1-800-Dreidel is a web site of fun and unusual judaic items. 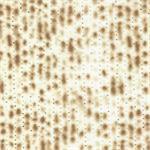 At the heart of our collection is the largest selection of Jewish themed fabrics on the internet and the craft items that cannot be found elsewhere. We have items for all the Jewish holidays including do-it-yourself party supplies such as balloons and confetti. It is our goal to make the every day items needed for celebrating the holidays readily available, fun and family oriented. 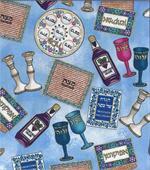 The heart of our business is a large selection of judaic fabrics and craft supplies. Please note that International order shipping charges are just an estimate. We will contact you by email with the actual shipping charge and get your approval before shipping your order. Your charge card is not used at the time the order is placed so we can first make such adjustments. Jewish Yad Part: Nickel Yad "Hand"